A reception was held on Sunday October 9 2011 in Sparwood Recreation Centre to unveil the plaque. Members of the Sokol Organization attended from across Canada and as far as Chicago to celebrate the occasion. 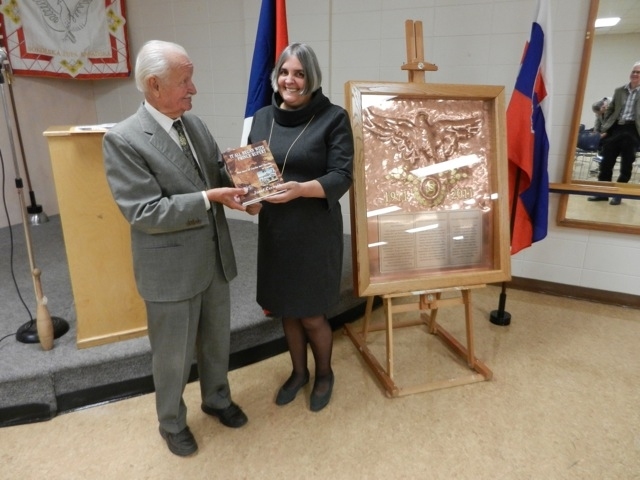 The President of Sokol Canada presented Sandra with a copy of his book about the story of Czechs and Slovaks in Canada. The plaque was presented to the Michel-Natal-Sparwood Heritage Society.